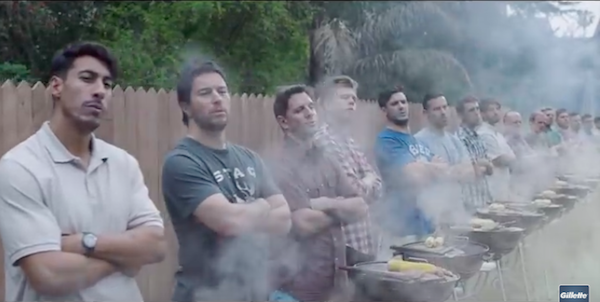 The Gillette toxic masculinity ad. Here we are, polarized again. Now there’s a shocker. The sides in this debate line up something like this: Either 1) Gillette and P&G hate men so boycott, or 2) they’re just pointing out bad behavior, so what’s wrong with that? As usual, both sides miss the point. Actually four points. First, it’s a corporate ad campaign from one of the world’s biggest advertisers. It’s a strategy to get people talking about Gillette and hopefully reignite sales, which are slipping. That’s all it is. It is not social commentary. And yet, everyone feels the need to take sides, get in on the debate, yada yada. Second, masculinity is not toxic. Bullying, sexual aggression and bad behavior are toxic. The fact that most people who act that way also have a Y chromosome is correlation, not causation. So what’s wrong with those individuals who act like jerks? They mostly have unresolved childhood issues and turned into dysfunctional adults. Third – and this is a function of the first two points – those people that behave badly have emotional issues. That means they will not be readily or easily influenced by reasoning, logical messages, cultural norms or peer pressure. Mass marketing will almost certainly have no effect. They need a good shrink and years of therapy. Fourth, everyone else already knows the difference between good and bad behavior; you and I don’t need lessons, certainly not from P&G. Also did anyone else see the same ad I did? The scenarios were so over-the-top it isn’t funny. So none of this really matters. The Gillette ad and everyone else jumping on the toxic masculinity bandwagon will have exactly zero effect on bullying, sexual aggression and bad behavior. The only purpose it will serve is to screw up an entire generation of boys who are already confused and persecuted for no apparent reason. In other words, all this talk of toxic masculinity is the only thing that’s toxic. That and the Gillette ad.